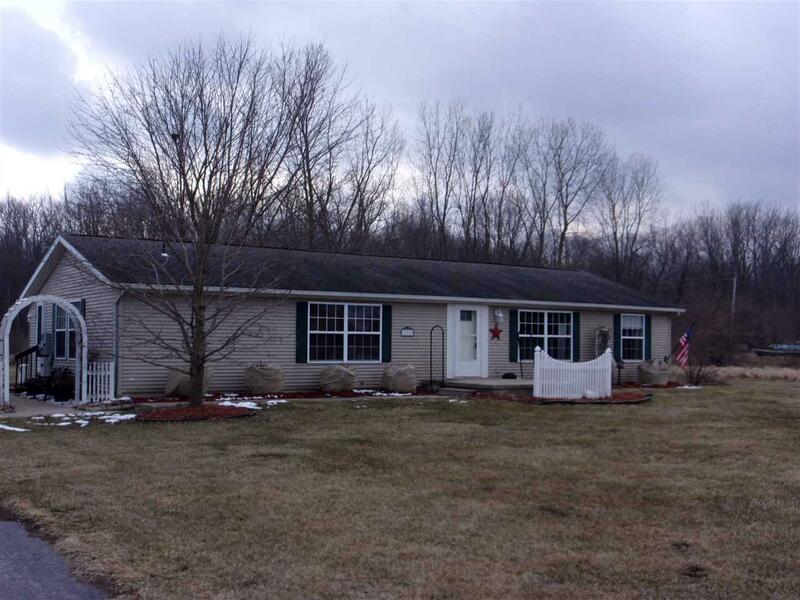 Spectacular 3 Bedroom Ranch home on an amazing Serene 5.64 Acres featuring Mature Trees, Woods, 2 Sheds, Above ground Pool, Deck, Patio, Front Porch, Asphalt driveway and an Immaculate 2.5 Car Garage! 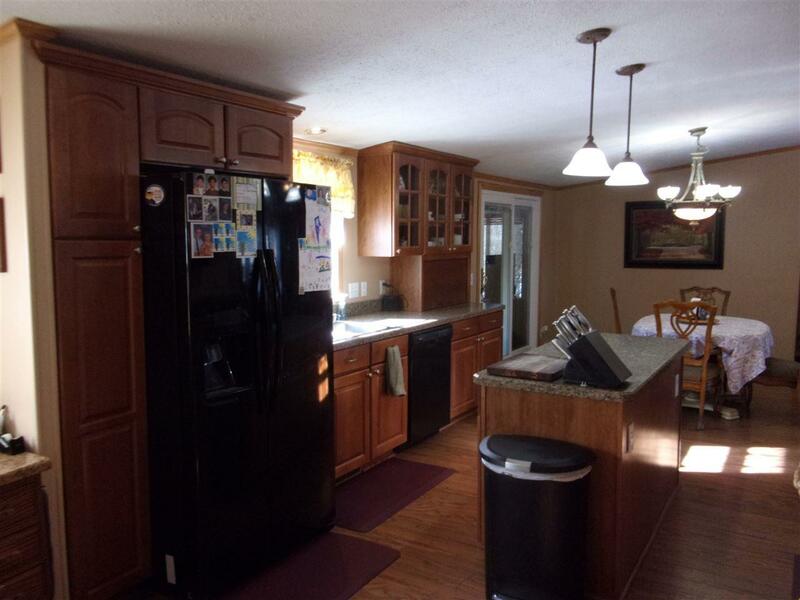 This Homes interior has been completely updated including an updated Super-sized Gourmet eat-in Kitchen with large island, pantry, Wolf Gas Range, built-in Oven, Dishwasher, Refrigerator, Microwave and large computer area. All appliances remain. The open floor plan is a must see! 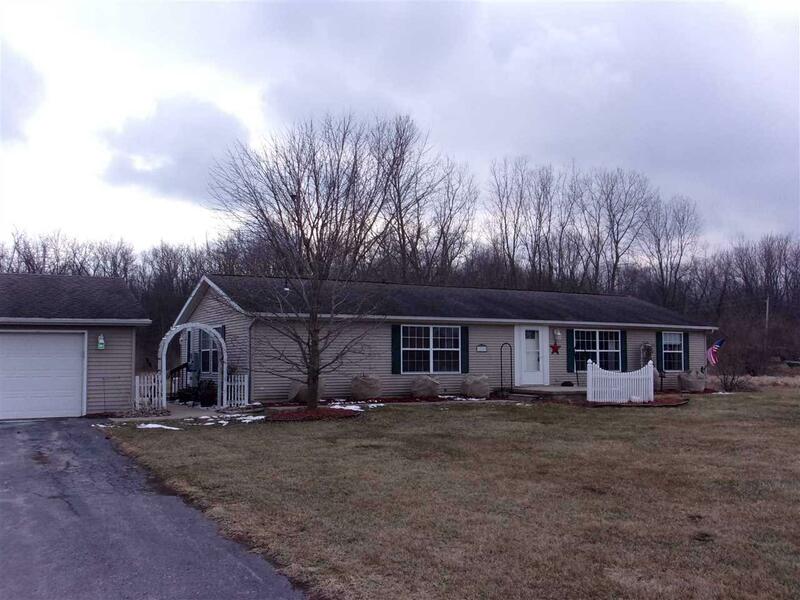 Large Living room and bonus Sunroom overlooking breathtaking country view. Master suite with updated master bathroom and 2 walk-in closets that you will need to see to believe! Newer Roof, Flooring and Water heater. City Water and Natural Gas. 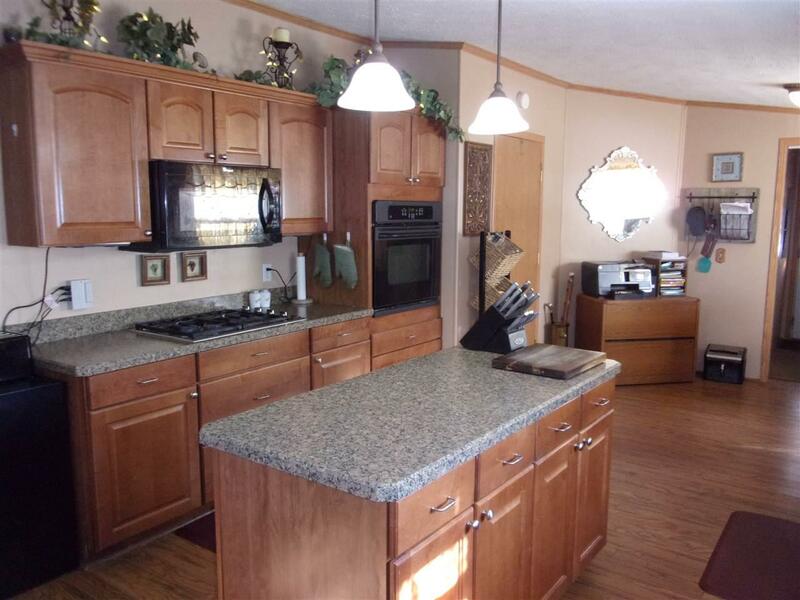 This is a Manufactured home in excellent condition with lots of upgrades!